The Royal is an exciting new condo in the Beltline neighbourhood by Vancouver-based developer Embassy Bosa with 223 total units across 34 floors. 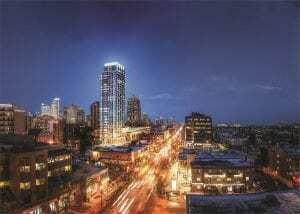 Located on 16th Avenue between 8th and 9th Street SW, The Royal condos are ideally located just steps from shopping and entertainment along 17th Avenue SW and just a few blocks south from the downtown business core. Meanwhile, a walk to the river pathways or perhaps the Stampede Grounds takes less than 10 minutes; the same for downtown just a few blocks to the north. Live a walkable, lock-and-leave lifestyle to the max when living at The Royal Condos in Calgary. Inside Embassy Bosa’s latest condominium in the city you’ll find open-concept floor plans and quality finishings throughout. Evolution Phase 1 & 2 in East Village were Embassy Bosa’s first condo buildings in Calgary. They’ve been praised for their high-end, luxurious nature in an unbeatable location. 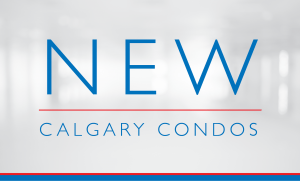 Expect no less from The Royal Condos in the Beltline. Questions about The Royal Condos by Embassy Bosa? 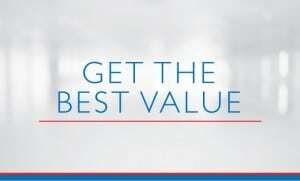 As highly experienced REMAX real estate agents and REALTORS® in Calgary, we have the knowledge, skillset and expertise to guide you towards being 100% satisfied with your transaction. Call us anytime at 403-370-4180 or send a message using the form below for a quick response. We are looking forward to helping you accomplish your real estate goals!